Photo from an envelope marked "Kenny Macrae's family" in Jimmy Bell's writing. 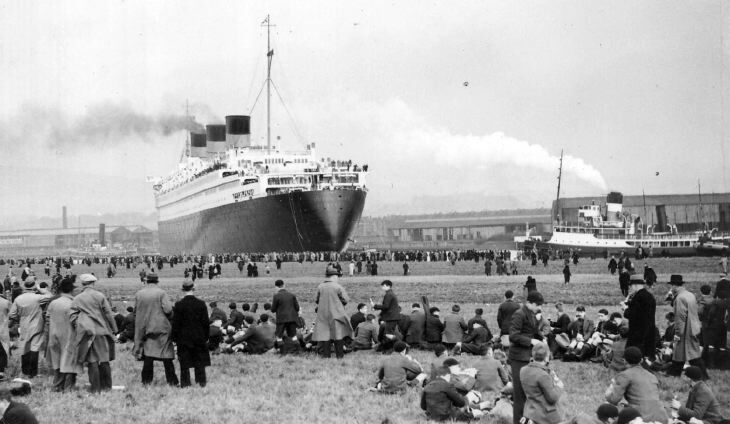 Marked on back "This is the Kibble staff and boys watching the Queen Mary going down the Clyde". Five men standing in the foreground are identified as Mr Myres School Master, Mr Shields Night Watchman, Mr Smith Vedge Garden Master, Mr ABL Sutherland Joiner Master, Mr Gunn Shoemaker Master.